Bleary eyed after working too late, I head to the kitchen to spend 20 minutes preparing 4 lunches before bed. I have the best intentions of packing healthy food that my kids might eat, only to come up with …nothing. The next day my kids take one look at the lunches I managed to pack and either trade them or trash them. I open the boxes again that night to find mashed fruit, barely nibbled sandwiches and empty chips packages scored from trading. 1. I bought bento boxes. If you don’t know what these are, you must find out. 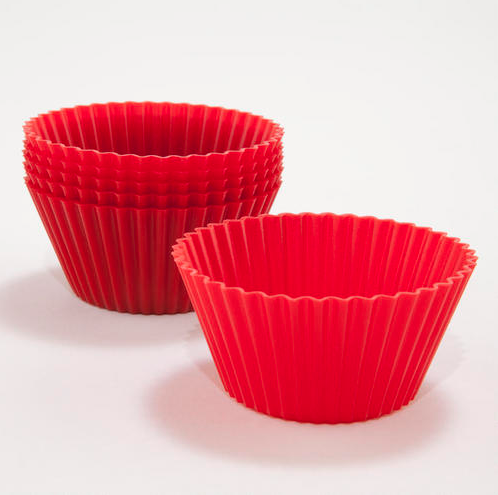 You can make one yourself out of tupperware or buy a big fancy one. I found ours at World Market for about $5. 2. I bought silicon baking cups to store goodies inside the bento boxes. Six for $2.49–I can handle that. 3. 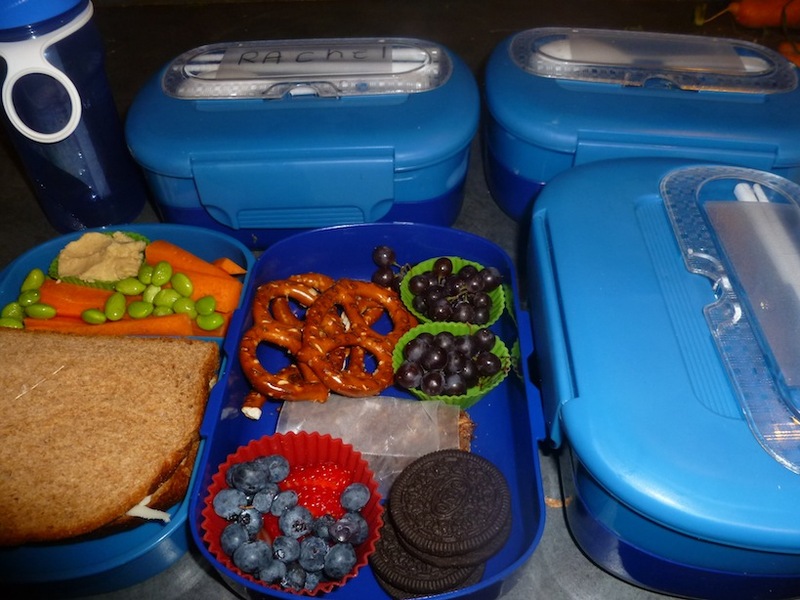 I plan to pack REAL FOOD (read no more packaged, expensive junk), out of a bento box (aka a dish) so that my kids will eat lunch from plates and not mushy baggies. 4. If all goes well, my kids will actually eat the foods that they normally like at home from their lunch boxes. Below is Day One lunches. Wish us luck. And, I’ll keep you posted. Those firsts attempts are really good! You should be proud and I’m sure your kids will love them! Thanks! I bought one for my husband, and he’s loving it too. Any tips? what is in the wax paper? 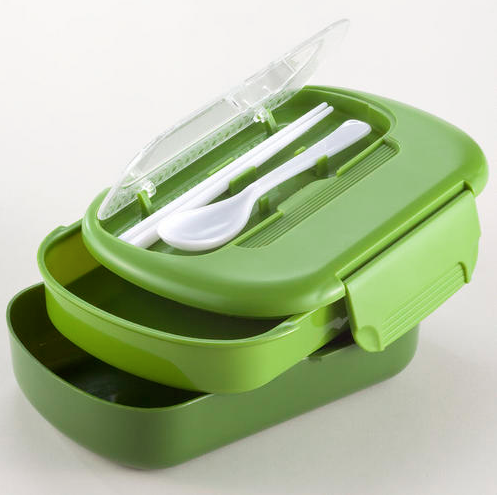 do you use the bento box as their lunch box? does everything stay in place or does it get all mixed up if the box tips? The wax paper has a homemade granola bar in it. The plan is to use it everyday for their lunchboxes, and so far so good. Everything’s been staying in place b/c I’m stuffing it full enough. if there is empty space, it would probably shift, though. My husband has one too, and he’s thrilled b/c i’m finally packing his lunch! so how do you shut it with out everything getting all over the place?